Some people have asked about my adoption story so instead of writing it as if I can recall everything, I had my mother write about it. I have had this for almost a year now and finally decided to post it. D and I had been married for 12 1/2 years. Although we weren't trying to get pregnant for a while after we got married, we had been a good bit of that time. When we realized there might be a problem, we went to doctors and tried the suggestions they made. Of course, we were praying for God's will as well. 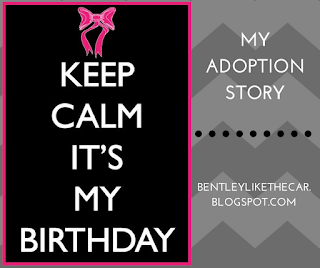 I remember one Saturday I was talking to God and felt impressed for the first time to look into adoption. D had mentioned it before, so I told him I thought we should pursue it. It was December so we decided to wait till after the first of the year since we were busy with the holidays and going out of town soon. So that night we were going to a Sunday school party and riding with some friends. We mentioned to them that we were going to look into adoption, but nothing else was said about it. A few days later we were driving to North Carolina to visit family for Christmas. Our first planned stop, however, was Chapel Hill for a basketball game. On the way D started feeling bad and said he couldn't make it to Chapel Hill, so we went to my mother's in High Point, N.C. This was NOT a planned stop, but when we arrived she said a friend of ours had called and wanted us to call him that night no matter how late it was. (This was before cell phones.) D went to bed, and I called the friend who was the man with whom we had ridden to the Sunday school party a few days before. He said he had been trying to work that evening and kept feeling impressed to call a Christian OB-GYN he knew. He didn't know why, but he called him. The doctor said that he had delivered a little girl earlier and had a list of 60 people wanting to adopt her. He was praying about who should get her. He didn't have a peace about anybody on the list when that friend called to tell him about us. He felt that was an answer to prayer and that God intended us to have this little girl. Wow! We flew out the next day-got the last 2 seats on the plane as it was holiday season- and got our baby right out of the hospital! We didn't have a thing, and she slept in a dresser drawer the first few days. We did rent a car and take our new daughter back to North Carolina to meet her extended family. What a Christmas that was and what an answer to prayer! I'm crying as I think about it. Sometimes we have to wait a long, long time for God to answer prayers, but she was SO worth it. What a joy and blessing she is in our lives and we love her very much! And there you have it. I am very important and I like to remind my sister of that on the daily. :) Yup my sister. Crazy enough my parents had my sister 3 years after I was born. Maybe I felt the need to share this since I am at that age where my friends are trying to have babies. Or maybe you know someone who has a similar story. Regardless, for those of you who wanted to know, you finally have the story. 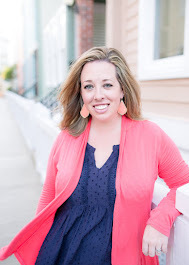 And for those of you who randomly wandered to this post, maybe my mom's testimony can be an inspiration to someone else. I just cried. Such an amazing story! 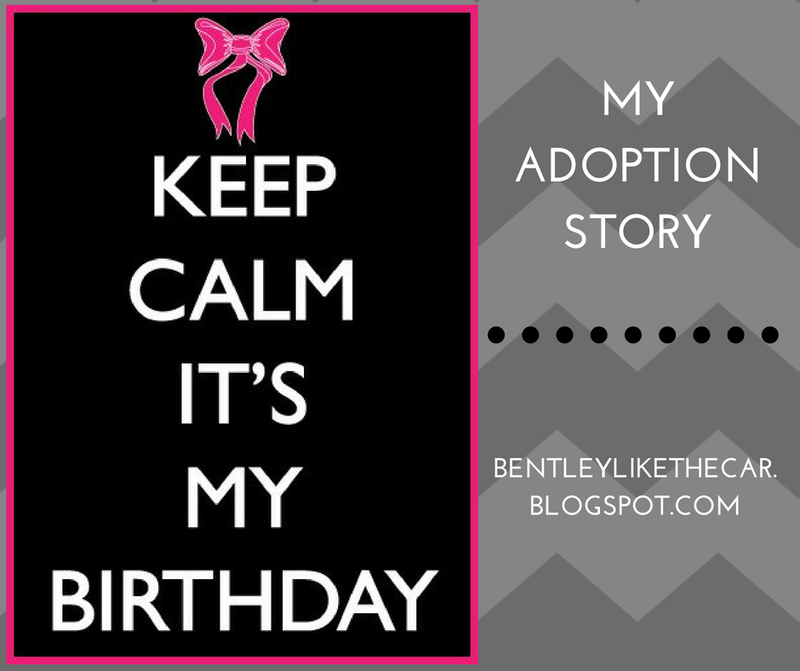 My mom was adopted too and adoption has a special place in our hearts! How good God is!! As long as we've been friends, I never knew this story! I'm SO glad you shared, it gave me chills! !